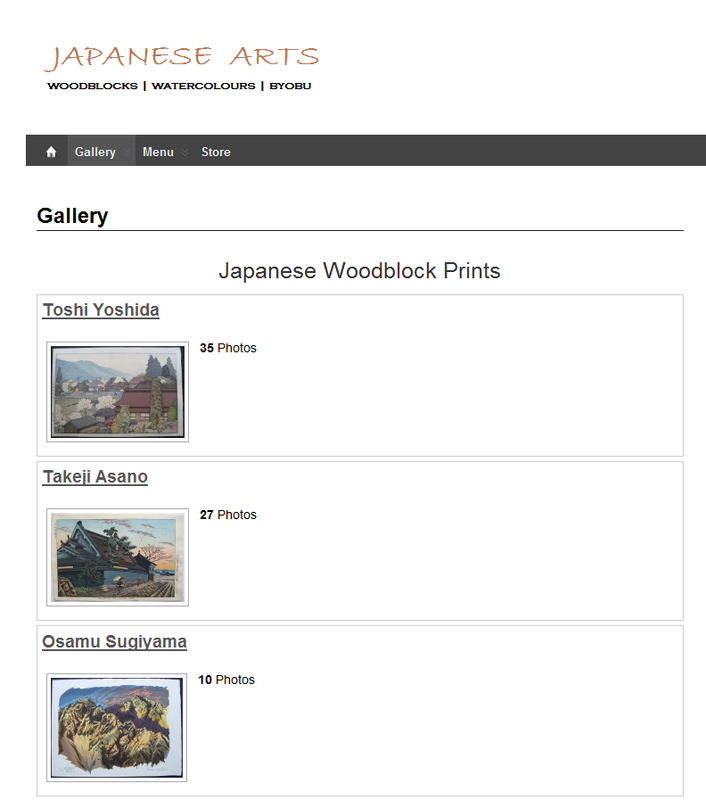 As requested on the NextGEN support fourm here is the setup used to produce the grid view layout for the NextGEN galleries on the Japanese Arts Gallery website. 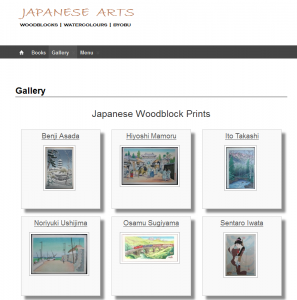 Please note that the css below applies to the gallery thumbnails (eg http://japaneseartsgallery.com/gallery/woodblock-prints/osamu-sugiyama/) and does not alter the album grid view thumbnails (eg http://japaneseartsgallery.com/gallery/). The Japanese Arts Gallery site does have some very small custom PHP code changes in the NextGEN plugin but I don’t believe it affects how the css below works. 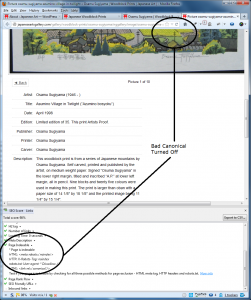 The NextGEN galleries are displayed using the standard NextGEN gallery caption shortcode. The following css is then used to tailor the standard NextGEN grid view into a custom view. I’m not a css coder or anything like that so the css was produced in part from posts on the NextGEN support forum and in part from experimentation. The first two class definitions are to produce the custom effect – border, background colour, box shadow and so forth. The last three class definitions are purely to center the thumbnails plus the height attribute in the “.ngg-gallery-thumbnail a” class definition which was added to cater for variable height thumbnails by aligning the captions. The height attribute is not needed there if you only have ‘landscape’ thumbnails. 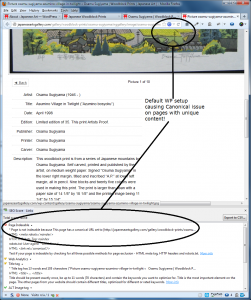 Obviously the height and width settings, margins and padding will need to be tweaked if used on other sites. For simplicity I’d recommend you start out getting the first two classes working ok and then move on to the bottom three which center the thumbnails. 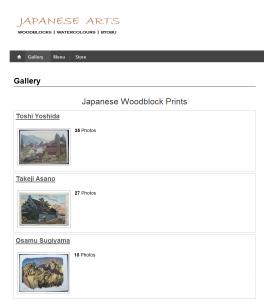 Every so often I like to refresh the look of my gallery which is built using the NextGEN gallery plugin. My latest update was to customise the NextGEN CSS to change the way it displays the gallery thumbnails when using the album shortcodes. I like the gridview effect that shortcode [album id=n template=compact] provides but have been finding that it now feels a little tired. The thumbnails are small and enlarging them causes issues with the stepped border thats placed around them. So, my question was, how to improve the look of the template=compact gridview appearance without doing anything complicated. The answer was to use the shortcode [album id=n template=extend] which provides larger thumbnails and then just tweak the CSS. By modifying the NextGEN CSS it was possible to change the default listview appearance of the shortcode to my preferred gridview and then ‘pimp’ it a little to get a bolder appearance. 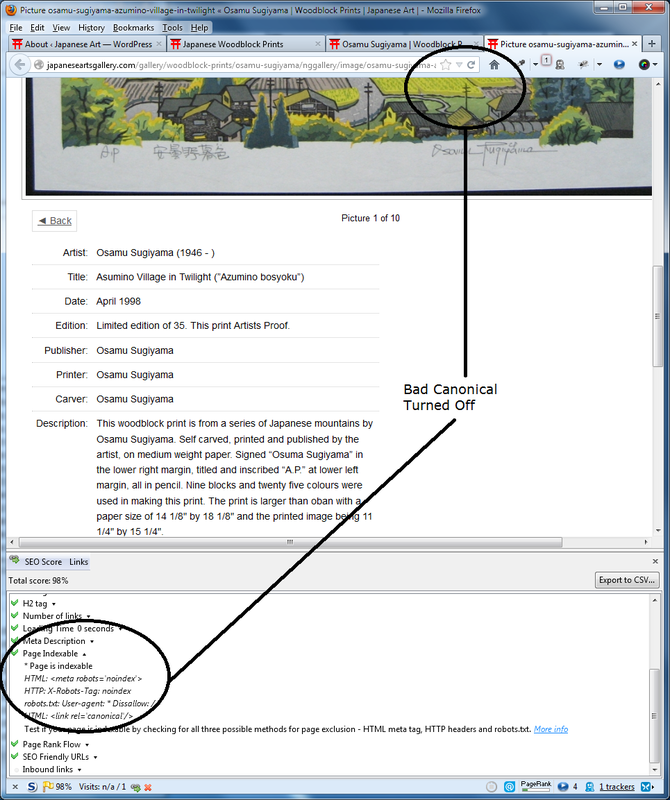 The following CSS changes were used to produce the layout in the right-hand image above. Depending on what you’d like to acheive you may wish to use all or some of them. Variables such as the height, width and colour may/would need to be adjusted for your own implementation. The theme I use with NextGEN gallery is Suffusion which comes which a facility to include custom CSS changes so I don’t need to edit CSS files. My changes therefore override rather than overwrite any CSS and are also therefore always carried forward when upgrading the NextGEN plugin. If you are editing CSS files directly then be sure to save a copy of the original in case of problems. (1) Remove bolding from the titles and center them. (2) Customise the container that holds the title, thumbnail and caption. (3) Hide the album photo count as my page width caused it to wrap untidily. 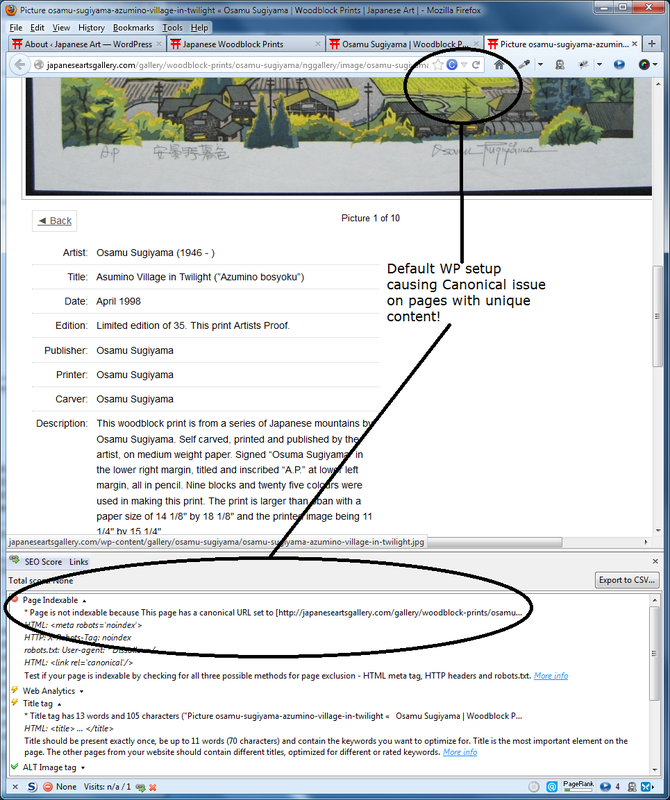 Increasing the album container width above wasn’t possible for me as that caused another issue. This change is optional depending on whether you want this information displayed or not and how it appears which will vary depending on the width of your page. Start off without doing this and see how it looks for you. (4) Center the thumbnail within the container. 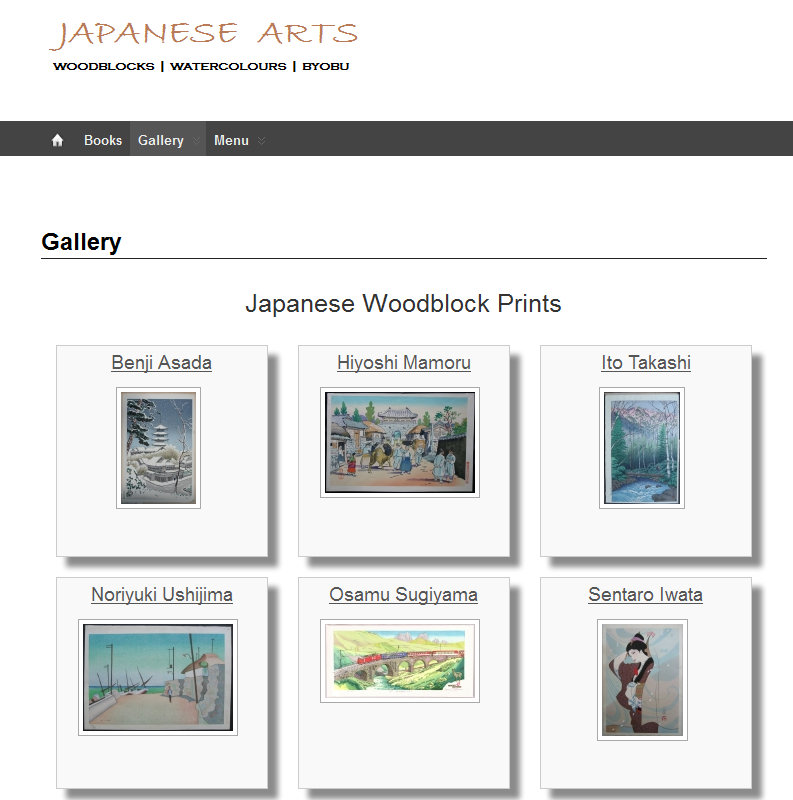 To see the new layout in action you can visit my Japanese Arts Gallery website.